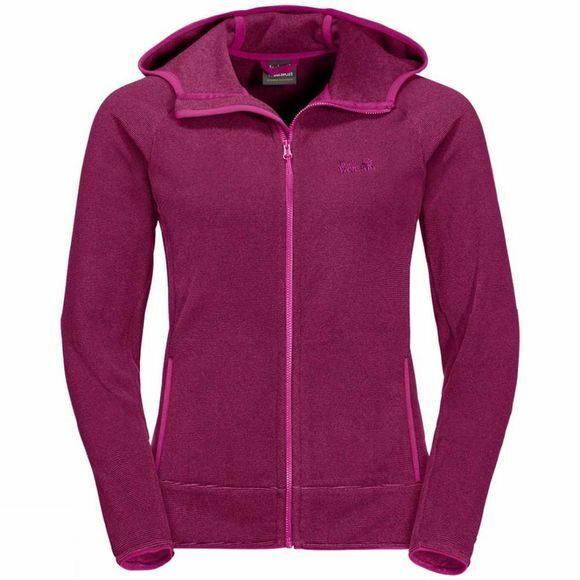 When you're walking along a mountain ridge or taking a well-earned break, the Womens Arco Jacket provides the light thermal insulation you need. The microfleece fabric is very breathable and fast drying. This makes the jacket suitable as standalone option for milder temperatures or a warming Mid layer in a layering system.